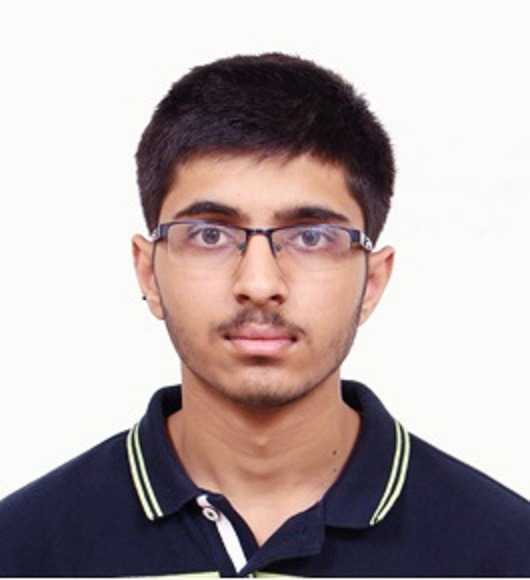 Patiala boy Jayesh Singla is among the 15 candidates who have scored 100 percentile in the Joint Entrance Examination (Main) held earlier this month. National Testing Agency (NTA) released the list of the top 15 today. Jayesh (18) has scored a 100 NTA score in Paper-I (BE /B.Tech). He is currently studying in Apollo Public School, Patiala, and completed his Class X from Yadavindra Public School. He scored 97.4% in Class X and aspires to be a computer programmer. Jayesh has been preparing for the exam for two years in Chandigarh. Sharing his strategy for the exam, Jayesh said, "Give all subjects equal importance. As Chemistry syllabus is lengthy, I gave it more time. I used to study 5-6 hours a day." His father Dr Ajay Singla is a paediatrician in Patiala and mother, Dr Monika, a gynaecologist. "We are on cloud nine and can't express our joy. He is a very hard working boy. Physics has always been his favourite subject," said his parents. Jayesh added, "Time management is important for the exam and for that, one must practice last years' papers. NCERT syllabus is very important for examination preparation so it advisable to study NCERT books thoroughly. While attempting the question paper, start with easy questions first." After the JEE (Main) April-2019, the ranks of the candidates will be released taking into consideration better of the two NTA scores of all candidates who appeared in January and April 2019 examinations. HRD Minister Prakash Javadekar said, "Ranks would be declared after the 2nd JEE to be held in April 2019. For the first time students have chance to improve their performance. This is the @narendramodi Govt caring for students and trying to reduce exam stress." "@DG_NTA declared results of the #JEE Main exam held between 8th & 12th Jan, in record time, & 12 days ahead of schedule. Made possible due to use of advanced technology and tireless team work of NTA team. I congratulate all students who did well & the entire team," Javadekar said on Twitter. The first JEE (Main) was conducted in two shifts a day across 258 cities in the country and abroad. A total of 9,29,198 candidates were registered for Paper - I (BE/B.Tech) in the examination. There were 467 examination centres across the country and abroad, according to a statement. The Paper-I was conducted in a total of eight shifts.